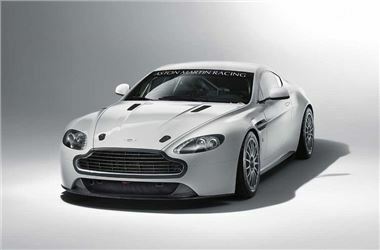 Aston Martin Racing has launched a new Vantage GT4 for 2011. The new V8 engined racing car takes design inspiration from Aston Martin's V12 Vantage road car, giving it enhanced aerodynamics and increased downforce. It also has a remapped 4.7 litre engine offering increased levels of power and torque. As with the current 4.7 litre Vantage GT4, which made its race debut in 2009, the 2011 car is closely based on the V8 Vantage road car with key attributes being carried over including the aluminium chassis, base engine and suspension design. In addition to the engine and aero upgrades, competitors can, for the first time, choose a race-developed Bosch ABS and traction control system. This system has been specifically optimised by Bosch Motorsport for the Vantage GT4 to provide race-enhanced performance in both wet and dry conditions. The Vantage GT4's new splitter increases downforce at the front of the car, as well as channelling cooling air to the brakes and radiator. At the rear, the car gains the V12's larger boot ‘flip'. This works together with a new carbon fibre diffuser and rear underfloor, which create an area of low pressure under the rear of the car, to increase downforce. The redesigned underfloor also channels more air through a new rear-mounted high capacity transmission oil cooler. Aston Martin Racing has built and sold more than 80 Vantage GT4s to customers around the world in the last two years and it has become the most successful car in its class. In 2010, it won the European GT4 Cup as well as the GT4 class at the Dubai 24 Hours, the Nürburgring 24 Hours and the Spa 24 hours. The car also has its own one-make series, the Aston Martin GT4 Challenge of Great Britain, which was won in its inaugural year by Chris and Ant Scragg. The new Vantage GT4 will be eligible for this Challenge, as well as the European GT4 Cup and all other series with a GT4 class.